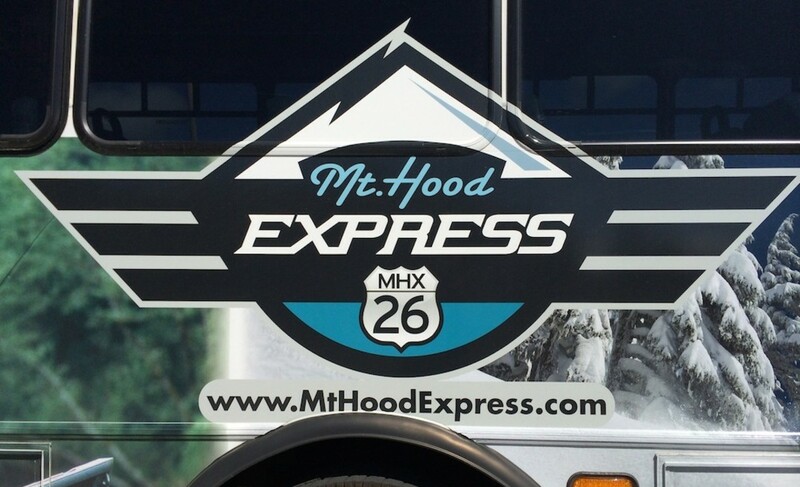 A carless trip to Mount Hood is easier than you think. You don’t even have to hitchhike. Need to clear your head with some alpine air, but don’t have a car to get there? A train, two buses, and $5.50 can take you up to Timberline Lodge. Stringing three different transit agencies’ timetables together can get complicated, but if you plan to leave the center city at least two hours before the Mt Hood Express leaves Sandy you should make it. You’ll need additional padding on the weekends, when the Gresham-Sandy connection is less frequent, so I recommend playing hookey or calling in sick and going on a weekday. 12:55 P.M.: The SAM bus drops us in “downtown” Sandy, with enough time to try a local take on the cronut at red-and-white landmark Joe’s Donuts, plus a cup of coffee from Mountain Moka (the powdered creamer on the counter at Joe’s is a red flag for any Portland coffee snob, so I went across the street, where there was also a restroom that was easier to access with a suitcase and a 5-year-old in tow). The man working at a farm stand next to the bus stop gives my daughter an apple. Another little girl waiting for the bus gives her a candy necklace. 2:35 P.M.: Arrival. It was a hot, sunny, still day as far as Government Camp, but at Timberline’s elevation the wind is fierce, and soon the lodge is enveloped by a cold fog. We spend the next 24 hours enjoying a “chalet” room full of bunks at Timberline and even taking on a bunkmate, a Pacific Crest Trail hiker who is enjoying a night off the trail and stopping to pick up some packages sent there by family and friends. It’s not ski season, but there’s table tennis, shuffleboard, a writing nook that my daughter declares her “office,” a heated pool, a hot tub, dinner at the Ram’s Head, a St. Bernard to pet, puzzles, board games, a fire to cuddle up next to, a Timberline mini-museum, an adjacent wilderness to explore, and plenty of windowside seats to nurse a Mt Hood Brewing pint and look up from my book to watch Trillium, Timothy, and Clear Lakes come in and out of view in the shifting fog. 5:05 P.M.: Rose Quarter reached, alpine travels over, time for the rush-hour slog home.